Once again, the international Gulf of Maine Council on the Marine Environment has recognized individuals, organizations and communities in the five jurisdictions around the Gulf for outstanding service through its Gulf of Maine Visionary Awards. Kathleen Leyden, director of the Maine Coastal Program at the Maine State Planning Office and 2010 Secretary of the GOMC, presented the awards at a ceremony in Portland, Maine, in December. The Distinguished Service Award, which recognizes dedication and commitment to marine environmental quality and sustainable resource use in the Gulf of Maine, went to Larry Hildebrand, Environment Canada. Your cooperative spirit and tireless efforts as a contractor and consultant to the Gulf of Maine Council were instrumental in protecting the Gulfs resources, said Leyden. Working cooperatively with colleagues throughout the region you have helped to create an international conservation legacy. Jane Tims, Susan Snow-Cotter Leadership Award winner, is seen working in a New Brunswick saltmarsh with colleague Rob Capozi. The prestigious Susan Snow-Cotter Leadership Award went to Jane Spavold Tims, Program Manager for the Provincial and Community Planning Section of the New Brunswick Department of Environment. Tims has been involved with the GOMC for several years as a Working Group member and two committees. In presenting the award, which was accepted for Tims by her colleague, Rob Capozi, Leyden said Tims has worked diligently to maintain the profile of the Bay of Fundy and Gulf of Maine in her numerous roles and participation in marine planning initiatives such as the Marine Protected Area Committee, the Southwest New Brunswick Marine Planning Initiative, and outreach and education efforts targeting planning commissions and municipalities along our coast. She has been a consummate professional and true mentor to many within government and among stakeholders. The Susan Snow-Cotter Leadership Award is bestowed in memory of Susan Snow-Cotter, a long-time friend of the Council and Working Group and honors those coastal management professionals who exemplify outstanding leadership or exceptional mentoring in the Gulf of Maine watershed. As a long-time Director of the Massachusetts Office of Coastal Zone Management, Susan was recognized as a leader who exhibited unwavering passion, enthusiasm, and insight to develop pragmatic approaches to coastal management challenges. The GOMC Longard Award was presented to Polly Bradley of Nahant SWIM. The GOMC Longard Award was presented to Polly Bradley, an Oklahoma Sooner, who never saw the sea until she was 16 years old. As a student 40 years ago, she visited Nahant, Mass. and decided to live there. Now she is an icon in the area.For years, she wrote a nature column, Backyard Frontier, for the Massachusetts Audubon Society. Twenty-six years ago she co-founded the non-profit organization SWIM (Safer Waters in Massachusetts) and has functioned as a driving force within the organization taking on issues related to offshore gas and wastewater pipelines, oil spill response, seabird migration, fisheries management, and more. In 2009, Polly received the River Stewardship Award from the Saugus River Watershed Council for her work to help protect the environment. Bradley was named Citizen of the Year by Nahant Town Moderator David Conlin in 2002, and in 1990, she received the Citizenship Activist Award from what is now known as the Environmental League of Massachusetts. In September 2010, Polly stepped down as leader of SWIM. The Longard Gulf Volunteer Award is bestowed each year in memory of Art Longard, a founding member of the GOMC and long-time Working Group member. The GOMC 2010 Industry Award was presented to J.D. Irving Limited for its creation of the Irving Nature Park and heightening public awareness of the Bay of Fundys coastal ecosystem. Kelly Honeyman accepted the award. The Irving Nature Park is a 600-acre (243-hectare) site created by J.D. Irving Ltd. to help protect an environmentally significant area. The peninsula of volcanic rock and forest on the Bay of Fundy is swept twice daily by some of the highest tides in the world. Mud flats and salt marsh are along one side. A long sandy cobble beach is on the other. The area nurtures one of the provinces richest marine ecosystems. A traditional staging site for migratory and marine birds that travel between the Arctic and South America, the area is a breeding ground for many waterfowl species of Atlantic Canada. Park upkeep, educational programs, and beautification are fully funded by J.D. Irving, Limited. Since its inception, thousands of youth and adults alike have learned about coastal ecosystems and habitats through educational activities and programs delivered at the Park, all at no cost to participants. J.D. Irving, Limited has also created another coastal educational facility along the Northumberland Strait. The Irving Eco-Centre: La dune de Bouctouche was developed by J.D. Irving, Limited in 1995 to preserve and restore one of the few remaining great sand dunes on the northeastern coastline of North America. This sand dune stretches 12 km across Bouctouche Bay, a result of the constant action of wind, tides and sea currents since the last ice age. A rich variety of marine and aquatic plants and animals, especially shorebirds and other migratory birds, make the dune their habitat. Educational and interpretive displays, workshops, and tours are offered by the Irving Eco-Centres staff of biologists and interpreters. Staff also carry out research on the site such as monitoring the endangered piping plover population, and provide regular programs about the dune for adults and students. The Centre also provides local area landowners interested in restoring dune habitat by providing free Marram grass, a native dune plant that is essential to the sustainability of dunes in NB and thus protecting inland infrastructure. A 2010 NH Visionary Award was presented to The City of Portsmouth. Mike Walls accepted the award for the city’s decade of environmental vision and performance. Citizens stood up to protect the Great Bog and began Portsmouths contemporary environmental movement; city staff within the Planning and Public Works Departments developed and implemented programs to improve quality of life, and the City Manager who set the stage and provided the leadership for all of it to happen. The city has worked to create a vision of a sustainable community and demonstrated its commitment to the vision by actions to reduce its impact on the environment. Special recognition went to City Manager John Bohenko, Mayor Ferrini and Members of the City Council, the Citys Planning Department with special recognition to the Environmental Planner Peter Britz, the Planning Board, the Conservation Commission, Public Works Director Steve Parkinson, Deputy Public Works Director Dave Allen and City Engineer Peter Rice and their staff. Notable achievements include: purchase of more than 200 acres of the Great Bog and putting it into conservation protection; protecting a valuable tidal shore land area known as Sagamore Headlands through the Coastal and Estuarine Land Protection Act (CELP) program; developing and implementing a Combined Sewer Overflow-Long Term Control Plan which through a series of major construction projects to reduce combined sewer overflows in the city and improving stormwater quality; installing numerous Green Infrastructure devices such as rain gardens, tree box filters, bioretention units, and swirl separators, to reduce and treat stormwater runoff. The City has also provided rain barrels at low cost to residents; improving land use ordinances with stronger local regulatory protections for wetlands, wetland buffers and vernal pools; undertaking numerous studies to map wetlands, conservation lands and natural resources which led to a list of 14 wetlands recommended for inclusion in the wetlands of state significance or Prime Wetlands program; conducting an inclusive Master Plan process that involved more than 300 citizens; providing workshops on sustainability, by a nationally recognized expert, for all staff, board members and the community; appointing a Committee on Sustainable Practices, joining ICLEI, becoming an Eco-municipality, initiating a Green House Gas reduction program and participating in a Carbon Challenge with other municipalities; creating and staffing an Environmental Planner and Sustainability Coordinator position in the Planning Department; reducing use of fuel and electricity and introducing biofuel to its vehicle flee, adopting a no-idling policy, building a LEED certified library, fire station, a new drinking water treatment plant which will be a green building. The city is also nearing completion of a design process for a newly renovated Middle School which will meet the green design standards of the Northeast Collaborative for High Performance Schools. The city has a successful recycling program that includes a recycle yard that improves every year, a mandatory recycling program, and now a door to door single stream recycling program. The city also completed an ecological assessment of conservation land owned by the City that will guide management and stewardship efforts into the future. A 2010 NH Visionary Award was presented to John Halloran a retired public school teacher who taught science to young people for more than 35 years. A visionary educator committed to promoting youth as citizen stewards of the Gulf and its watershed, while working for the Newburyport, MA public schools, Halloran tirelessly promoted placed based education and the importance of including, in the curriculum, real Gulf of Maine experiential learning. One of his most interesting projects was centered on the dory, a historical and cultural icon of the Gulf of Maine fishing industry. In this interdisciplinary program, students talked about the Merrimack River watershed in every class, used math skills to construct a model dory and had a fine adventure out in the watershed in full size boats constructed in industrial arts class. He was in the forefront of a sea kayaking movement that took beginners on ocean adventures into the Gulf. While sea kayaking skills and safety had priority, John and his biologist trained guides made sure that everyone was made aware of the flora, fauna and environmental issues of the Gulf so that they might return and act as stewards to their own corner of the watershed. His signature trip, Paddling with Whales, took participants either 15 miles offshore to Stellwagen Bank or 30 miles out to Jefferys Ledge to meet the endangered great whales in the ultimate eco tour. Since retiring, Halloran has continued to pursue his vision and passion to educate youth as citizen stewards through the Gulf of Maine Institute (GOMI). John is GOMIs science director and leader of the effort to eradicate the invasive plant species, Perennial Pepperweed, throughout MA, NH, and ME. Inspired by his work with youth, the Parker River National Wildlife Refuge hired an invasive species coordinator and helped create a Mass to Maine study group to monitor, map, and help control the movement of Pepperweed. He plays a key role in developing and implementing GOMIs science curriculum, leading the development of a Merrimack River watershed coalition that includes the Parker River National Wildlife Refuge, Newburyport Public Schools, MA Audubons Drumlin Farm, Haverhill Public Schools, and the Plus Time New Hampshire team sites in Concord and Laconia. They are testing the waters of the Merrimack from the head to the mouth for presence of pollutants, including pharmaceuticals. An earlier youth project, supervised by John, detected high levels of estrogen in the drinking water of 20 MA, NH, and ME locations while also looking into the health concerns caused by mercury in shorebirds and the enhancement of Karner Blue butterfly habitat. This federally endangered species makes its only New England home in Concord. He also works on a partnership with Tufts University. This partnership works directly with Tufts Master of Arts in Teaching (MAT) program candidates to prepare teachers to employ place based education practices in their classrooms. MAT candidates involved in this partnership work directly with GOMI youth teams on local Gulf related issues. He sits on the GOMI Board, the Newburyport Education/Business Coalition board, and was a long time member of the Secretarys Advisory Group and co chair of the Steering Committee at Mass. EOEA. He has steadfastly worked with or without compensation to help GOMI succeed. A 2010 ME Visionary Award went to Peter Milholland for his innovation, creativity, and commitment to environmental protection. On March 24-25, 2010, hundreds of people from 50 government agencies, maritime businesses, and Friends of Casco Bay converged on Portland, Maine to resolve a Spill of National Significance (SONS). It was a simulation of an oil spill disaster that happened in reality on an unimaginably larger scale less that one month later. In Maine, the role of the first-ever Volunteer Coordinator in a SONS exercise was assigned to Milholland, Friends of Casco Bays Citizen Stewards Coordinator. In addition to dealing with all the problems thrown at him during the Portland exercise, he co-authored a Volunteer Management Plan, which was forwarded to Gulf of Mexico Waterkeepers to assist them in responding to the disaster there. He also played an important role in the 1996 Julie N spill in Portland Harbor, when he organized volunteers to staff a hotline to report oiled wildlife and to patrol the shoreline with Inland Fisheries and Wildlife biologists to look for oiled birds. The sight of oiled birds is so emotional that if you dont have wildlife rehabilitation, you will have a media nightmare, said Jordan Bailey, coordinator of wildlife rehabilitation for the Maine Department of Inland Fish and Wildlife. After the SONS exercise, she praised Milhollands work recruiting and registering volunteers who could be trained to assist with cleaning oiled wildlife in the event of an actual spill. Peter was so effective that all agreed that in future SONS exercises the Volunteer Coordinator should be from a local non-profit. In addition he recruited, trained, and supported EPA-certified water quality monitors for 15 years. This work led to many improvements to Casco Bay and coastal Maine through identifying pollution issues and providing the data to reclassify and upgrade the water quality designation of sections of Casco Bay. Milhollands efforts in water quality monitoring and training volunteers have benefited the Gulf of Maine, as well as the Gulf of Mexico. A 2010 ME Visionary Award was presented to the Gulf of Maine Research Institute. Don Perkins accepted the award. GMRI has been an innovative and leading voice in bringing science, education, and community focus to the Gulf of Maine over the past decade. Its success in bringing in almost every 5th or 6th grader in the State of Maine for a cutting edge use of technology to engage those students not only in the marvels of the Gulf of Maine but the promise of science and technology in unmatched in Maine, New England, or the US, for that matter. Its group of scientists are world class, leading to an increased level of knowledge and specific improvements to how the resources of the Gulf of Maine are usedwhether for fishing gear or new management structures, renewable energy or conservation efforts, or understanding the impacts of past and future actions. GMRI aims to ensure that communities that rely on the Gulf of Maine are integrated into decision-making processes and take ownership of their future, and that the wider Gulf of Maine community understand and advocate for a sustainable use of the Gulf of Maines resources. A 2010 NB Visionary Award was presented to Chris Porter for his work in getting the Tantramar Wetlands Centre (TWC) off the ground. Rob Capozi accepted the award. Porter started the Tantramar Wetlands Centre when he taught at Tantramar High School in the early 1990s. The TWC is a community-based centre of wetlands education specializing in experiential programming aimed at public school students and teachers. Recognized nationally as a centre of excellence, this award-winning project provides exciting wetlands education experiences to over 4,000 visitors annually. A true visionary he recognized the value of keeping kids in school by having the school offer more to those students who were teetering on the edge of the system. From their measly beginnings in the abandoned workshop of Tantrama High School Chris soon turned the TWC into a world-class regional education and training facility that now teaches wetland conservation education programs to thousands of students per year and has trained hundreds of teachers in the implementation of a wetlands curriculum in their classrooms. Since retiring from public school teaching in 2006 Chris left TWC and has taught part-time with STUs Faculty of Education, worked on a contract basis with MTA’s Coastal Wetlands Institute, and for the past two years has been managing a database project and conducting professional development programs for teachers on behalf of Learning For A Sustainable Future. The Atlantic Provinces Council on the Sciences website profiles Chriss winning the 2004 CanPolar Science Communication Awards for his commitment to inspiring students through excellence in science teaching. 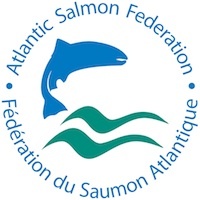 A 2010 NB Visionary Award is presented to Sentinelles Petitcodiac Riverkeeper for the work the organization has done in restoring tidal flow to the Peticodiac River. Rob Capozi accepted the award for SPR. The Petitcodiac Riverkeeper is a non-profit organization with a main objective to restore the ecological health of the Petitcodiac and Memramcook River watersheds, including the Shepody Bay estuary, all of which are critical inputs into the Bay of Fundy. The organization acts as investigator, scientist, educator, and advocate.Members have been instrumental in protecting the Peticodiac River, responding to citizen pollution complaints, and monitoring water quality. The Petitcodiac Riverkeeper acts as a public voice for waterways, protecting the publics right to clean water and a healthy watershed. A 2010 MA Visionary Award is presented to Jack Wiggin, for his long-time dedication, skill, and contributions to coastal management. He has been with the Urban Harbors Institute (UHI) at UMass Boston since 1989, and has served as Director since 2004. In his more than 20 years with UHI, his expertise has been critical to the development of watershed plans, harbor plans, and natural resource management plans throughout coastal Massachusetts. In addition to his planning and natural resource expertise, Jack uses his strong leadership skills to maintain partnerships and bring together diverse groups of people who, together, are advancing ocean and coastal planning both within the Gulf of Maine and beyond. Some examples of Jacks recent contributions within the Gulf of Maine include: Serving as a Councilor to the GOMC as well as serving as Secretary/Treasurer for the Association of US Delegates to the GOMC, leading a diverse research team that provided assistance to the MA Executive Office of Energy and Environmental Affairs as it developed the Massachusetts Ocean Management Plan; moderating a panel at the 2010 Working Waterways and Waterfronts conference in Portland, ME an activity that may lead to the development of a National Working Waterways & Waterfronts Coalition. A 2010 MA Visionary Award is presented to Dr. Judy Pederson, who was instrumental in working to ensure that the best science and the scientific peer review processes were incorporated into state environmental agency efforts. Her first efforts involved establishing a Technical Advisory Committee for the review of planning and decision for the MWRA Outfall with a team of scientists from area universities. This eventually evolved into the current Outfall Monitoring Science Advisory Panel, which continues to advise the Massachusetts Water Resoures Authority on its ocean outfall monitoring program. She also worked to coordinate and provide consistency for state review of dredging projects in coastal waters, particularly with an eye to managing contaminated sediments. In her position at MIT Sea Grant, Judy initiated the first Rapid Assessment Survey for marine invasive species on floating docks and piers on the New England coast, which now continues every three years in coordination with MA Office of Coastal Zone Management and which has resulted in new findings with every survey. Pederson also was a co-founder of North East Aquatic Nuisance Species Panel in coordination with MA CZM and subsequently served as its chair. The Panel continues as the northeast regional panel for the federal Aquatic Nuisance Species Task Force. Judy has supported the development of a regional database on marine invasive species and has also worked to support the efforts of citizen science and the work of many nonprofit groups that work to incorporate the best scientific methods possible into their programs. A 2010 NS Visionary Award is presented to Barrington Municipal High School in recognition of its Environment Clubs ongoing efforts to maintain and enhance environmental quality in the watershed and coastal environments bordering the Gulf of Maine. Justin Huston accepted the award. Through their dedicated efforts to engage students, staff, and local residents in the protection and restoration of sensitive coastal habitats, the Barrington Municipal High School Environmental Club is affecting positive environmental change and helping to promote an ethic of stewardship; locally and across the Gulf of Maine. A 2010 NS Visionary Award is presented to Dr. Tim Webster in recognition of his long-standing dedication and leadership in the development and application of remote sensing technologies, which has greatly increased knowledge and improved management in the Bay of Fundy / Gulf of Maine. Justin Huston accepted the award. Through his work at the Applied Geomatics Research Group at the Centre of Geographic Sciences, Dr. Webster has played an instrumental role in building collaborative networks with governments, industry and academia throughout Atlantic Canada, to better understand the Bay of Fundys changing coastlines and watersheds and the implications of climate change on coastal environments and communities. Dr. Webster must also be recognized for his commitment to teaching and mentoring students, the result of which is a new generation of passionate and creative researchers, interested in applying geomatics technologies and know-how to environmental and social issues in the Gulf of Maine. The Gulf of Maine Visionary Awards are made annually to individuals or organizations within each of the five Gulf of Maine jurisdictions of Massachusetts, New Hampshire, Maine, New Brunswick, and Nova Scotia. The Awards recognize innovation, creativity, and commitment to marine protection by businesses, environmental organizations, or individuals who are making a difference to the health of the Gulf of Maine.